Cayman Venture is a British based engineering software company who have been developing and supporting maintenance and engineering systems since 1991. These range from food and distribution to manufacturing sites. The company was originally formed to provide affordable and easy to use software for engineers, to help maintain plant, facilities and equipment. 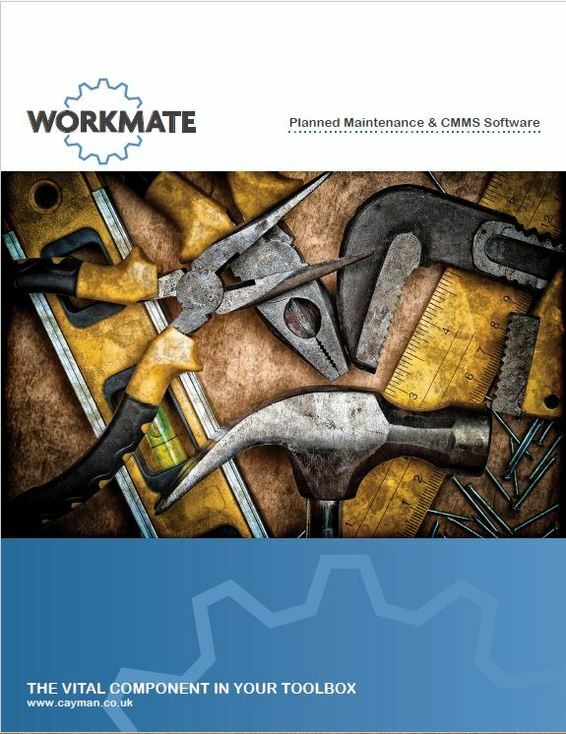 “Workmate” is our revolutionary software system that puts YOU back in charge of the countless tasks and record-keeping associated with plant and systems maintenance. We also work closely with our clients so that they are able to realise their objectives and this also helps the system grow with features that provide real user benefits. Take back control TODAY!